Your guide to the 2017 country concerts at NYC-area county fairs. Our family always looks forward to hitting a couple of the local county fairs every summer. What’s not to love? Games, rides, dock diving dogs, racing pigs, and fried Oreos! And of course no fair would be complete without a concert. 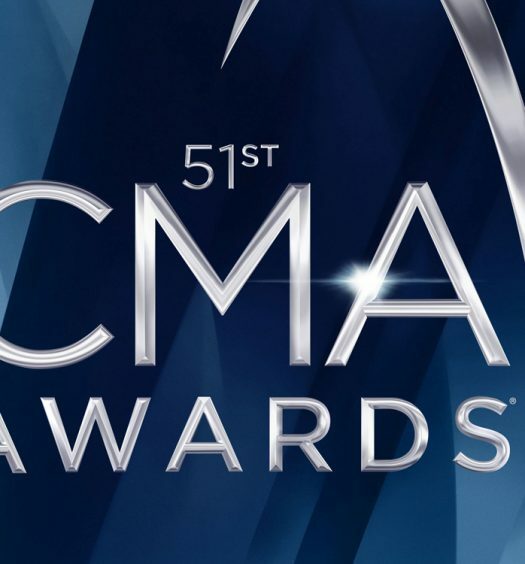 Here’s our list of upcoming fairs in the NYC area featuring some of your favorite country music artists. The Oak Ridge Boys will perform at the Ulster County Fair on Wednesday, August 2, 2017 at 8:00p. Click here for more information. The Ulster County Fair began around 1869, when a few gentleman from Ellenville, New York facilitated the construction of the Ellenville Driving Park. They held a small fair, which featured horse racing and various agricultural exhibits. The Fair has remained an integral part of the county’s heritage, its past and its present and, hopefully, its future. On Saturday, August 19, 2017 Mark Wills will be performing. Opener Julie Roberts takes the main stage at 7:00p followed by Wills at 8:30p. Click here for more information. Established in 1979, the Wolcott Country Fair is the area’s largest agricultural and family fun event of the summer. During the course of the annual 3-day event, over 30,000 people come to the beautiful town of Wolcott to enjoy the fair’s sights and sounds. Attendees are treated to a traditional country fair with events including the judging of fruits, vegetables, baked goods, paintings and photography. Brothers Osborne will be taking the stage on Wednesday, August 23, 2017 at 7:30p as part of the Grandstand Concert Series. Advance tickets can be purchased online. Click here for more information. Scotty McCreery will be performing at The Woodstock Fair on Monday, September 4, 2017 at 4:00p. Click here for more information. The first exhibition of the Woodstock Fair was held in 1859. Fruits, flowers and manufactured goods were exhibited in the vestry of the South Woodstock Baptist Church. There was a ten cent admission fee. Cattle were in pens on the common near the church and trotting and carriage horses were on exhibit under the McClellan Elms. Country fans will get a double dose of entertainment this year at the Hebron Harvest Fair. High Valley will perform on Friday, September 8, 2017 at 9:00p and William Michael Morgan will perform on Sunday, September 10, 2017 at 3:30p. Click here for more information. 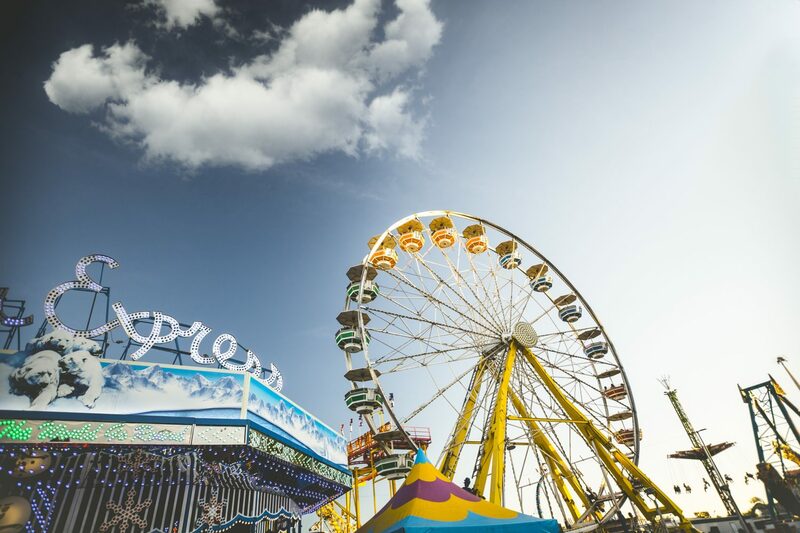 An annual event since 1971, The Hebron Harvest Fair has grown to become one of the largest agricultural fairs in Connecticut with unique attractions, fan favorite food and four days of fun. On Saturday, September 16, 2017 Dylan Scott will take the stage at the Guilford Fair at 8:30p. Click here for more information. Founded in 1859, the Guilford Fair is part of the spirit of Old England; it’s harvest celebration; it’s homecoming; it’s fun and merriment; but above all, it’s a venerable institution of its own. Today’s fair has paced with modern times, yet retains a powerful theme of the town’s agricultural past. Brothers Osborne will take the main stage at the Durham Fair on Friday, September 22, 2017 at 7:00p. Click here for more information. In 1916 the Durham Fair began a tradition. 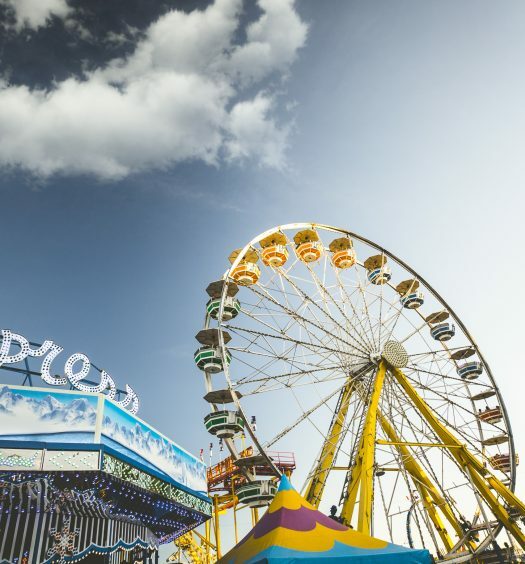 That tradition continues today during the last full weekend in September when the fairgrounds come alive and magically transform into Connecticut’s largest agricultural fair. Come visit the Durham Fair and you’ll see what a real fair is all about. Live entertainment, rides and games on the Midway, first-class animal competitions and discovery events on the Corn Stalk Stage. Along with a trove of crafts, exhibits, shopping and fun food. What are your favorite county fairs? Did we miss any? Let us know in the comments section below!